Q. Why don’t a great majority of organizations achieve their revenue growth strategy? They do not spend enough time focusing on the true measure of revenue growth: customer loyalty. Revenue strategies focus on market penetration, new product development and competiveness. What they assume is that their existing customer base will stay loyal, which is a false premise. They discount the need to continuously identify what value customers want when they buy. The only way a company can assure it knows loyalty, is to walk in its customer’s shoes—with the customer, for the customer—and actively listen to them experiencing first-hand how they use the product or service they are buying. Q: What can organizations do to listen to their customers more effectively? The “how” you listen becomes a significant business activity that could have a dramatic impact on your overall business performance—be it revenue, growth or profitability. Organizations intuitively know this but they most always encounter problems in how they go about listening to their customer. There are often issues with maintaining integrity when gathering and processing the data they receive, and integrating what they learn into strategy, product development and process improvement. Q: What can companies do to address these issues? Organizations need to focus on the voice of the customer, or VOC. In its simplest form, VOC is a process for capturing customers’ requirements. It produces a detailed set of customer wants and needs which are organized into a categorized structure, and then prioritized in terms of relative importance and satisfaction with current alternatives. VOC is all about understanding the customer’s requirements and designing and delivering products or services that consistently meet their requirements. 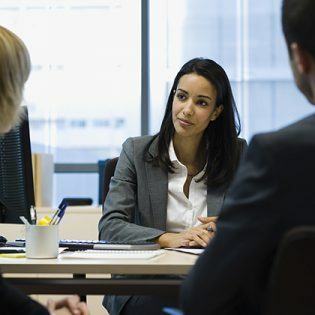 Listening to the customer should go beyond surveys, focus groups and other passive data gathering techniques. A strong VOC effort involves developing an intimacy with customers to understand why they are loyal in the first place and continue to buy your products and use your services. Or, if they are a former customer, why did they stop buying from you? And what can you do to win them back? It’s also important to learn from non-customers, asking what you can produce or deliver that will influence them to buy from you. Listening to the customer involves developing an intimacy with customers to understand why they are loyal, or, if they are a former customer, why did they stop buying from you? Building intimacy with your customers is best defined by the phrase, “with your customer, for your customer.” It helps structure an approach where you and your employees are not only listening to your customers but are also working alongside your customers. This allows you to actually experience how your customers are using your products and services in their everyday life and what the value is that they see in your offerings. Ultimately, what you discover will drive your product development efforts and become the basis for how you innovate and improve technology systems and processes. This will set your organization up to be agile—the ability to quickly change when necessary to meet the evolving needs and requirements of your customers. Q: Once you’ve developed your VOC program, what do you do next? As part of the Lean Methods Group’s innovation methodology (D4), we define the Job To Be Done for your customer by identifying their outcome expectations. Customers don’t just buy products or services. They “hire” products or services to get a job done. What problem do your customers hope to solve by using your product? If you do not know the answer to this question, how can you improve and innovate? This is where you begin to build intimacy with your customers, by looking at what motivates them to use your products/services. Knowing the reason your customers value your product or service not only allows you to think about current requirements but also is a key identifier of innovation opportunities. Job To Be Done statements help you design products and services for your customers that they didn’t know they needed—to solve problems they didn’t know they had. Knowing the reason your customers value your product or service is a key identifier of innovation opportunities. Q: So what does determining the JTBD and outcome expectations of your customers help companies do? Determining the Job To Be Done and outcome expectations of your customers will allow you to meet current state needs and address innovation opportunities to serve them better. This is where the approach of “with the customer, for the customer” comes into play. “With the customer, for the customer” is the activity that brings it all together to drive intimacy in understanding your customer’s requirements. Q: How does one execute on their customer’s Job To Be Done? To execute this effort requires your employees directly interact with the customer—to walk in their shoes, to stand beside them as they use your product and services. You want to know how your customers use your product to accomplish what they need to do to be effective on the shop floor. You want to understand how your customers work with your services in order to complete the paperwork needed to request a service. And you need to be intimately aware of how your customers walk the aisles of a store and what determines if they place your product in their cart or not. At the end of the day, you need to fully understand how customers use your product and services, and the value of what they receive. It’s almost like an ethnographic study of your customers! Q: Can you summarize the importance of a strong VOC program? A vigorous VOC program that focuses directly on interacting with your customer will enable your company to reach your strategy’s maximum revenue growth. The closer you are to your customer, the more intimate you are with their specific critical requirements. And by meeting these requirements and anticipating changing requirements, you will build complete loyalty. Customer loyalty is the true goal—the Holy Grail—of any revenue strategy. Loyalty should always trump satisfaction in order to make your business strong and sustainable. Bob Norris was a senior client partner with the Lean Methods Group. A change expert and Lean Six Sigma Master Black Belt, he has extensive experience in driving enterprise-wide change and improvement initiatives.